This time around on The Frank Truth Podcast, we've got audio from the Sinatra Stamp unveiling, some listener feedback, and a review of Jersey Boys. Rob from Tupelo Geek and Tupelo Catholic checks in. Our theme music is Here's That Swing Thing by Pat Longo. 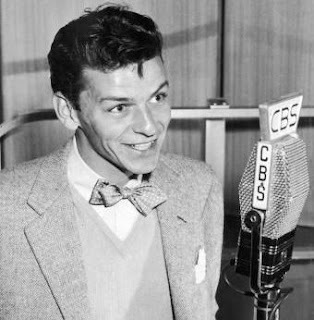 "Bob in Boston," one of the most prolific experts on the Sinatra Family Forums, posted a link to a documentary from NPR which aired on the occasion of Frank Sinatra's birthday in December. The one-hour show, hosted by Nancy Wilson, is available as an MP3 Podcast download by clicking here. Thanks to Bob for drawing it to our attention! As noted over on NOEBIE.NET, my wife and I had a wonderful time at last Saturday night's performance of Jersey Boys in Chicago. 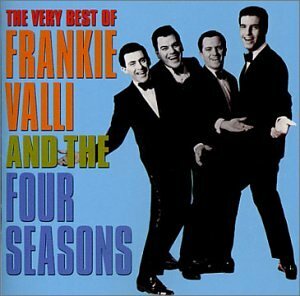 I well remember the songs of the Four Seasons from the 1960s when I was a child, and from their Mid-1970s resurgence when I was a disc jockey on radio and in clubs. What I didn't know was the amazing story of this band. Frankie Valli, Tommy DeVito, Nick Massi and Bob Gaudio were unlikely pop idols - the longest of longshots. Yet these four high school dropouts (three of whom had been in trouble with the law from time to time) stormed out of New Jersey to captivate a generation, selling hundreds of millions of records while they were still in their 20s. The show - with its sublime pop soundtrack - has been a hit on Broadway and around the country, but it's more than just a nostalgic recreation of chart-topping music. It's a celebration of the lives and ethic which allowed a partnership involving millions of dollars to flourish, for over four decades, on a handshake. I'll be including a review of the show on the next Podcast episode of The Frank Truth. Dying for a taste of the Four Seasons? Visit my Jersey Boys Amazon Shop or take a trip to the iTunes Store. 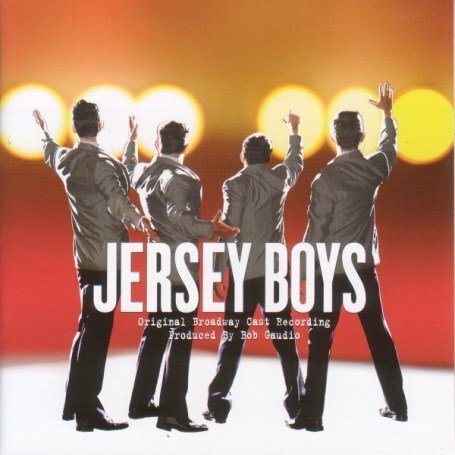 Also, check out the Jersey Boys Podcast, one of the coolest fan shows on the Net. 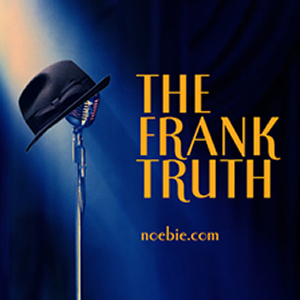 In addition to supporting the show through your purchases at the Amazon and Cafe Press Shops, you can now make a secure donation (through PayPal) to The Frank Truth. If you enjoy what you hear, a tip in any amount would be sincerely appreciated. 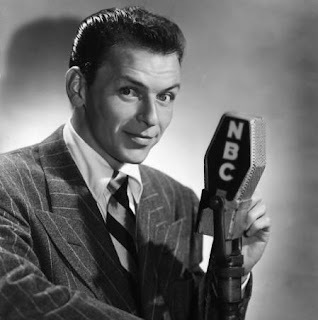 This week we've got another episode of Frank Sinatra's 1950s NBC Radio Drama, Rocky Fortune. It originally aired on December 1st of 1953 and involves the smuggling of antiquities. Variously known as Parlormaid To A Statue and Art Store Handyman, we'll call this one Murder Among The Statues. Click here for the MP3 download of the Podcast. 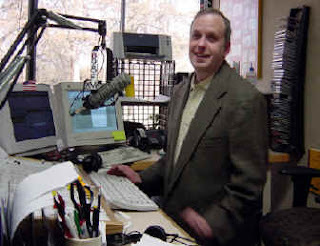 We also discuss some listener feedback from James in Madison and James in Sheffield, Steve Bauer's Smooth Jazz USA show, Frankie's star and changes here on The Frank Truth Weblog. The Amazon shop and cafe press pages mentioned are no longer available. 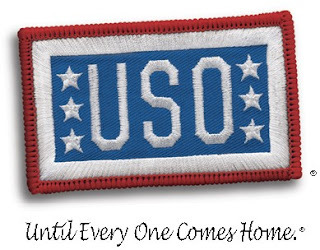 We'll be taking a short break from the Podcast and Weblog for a week or so. Check back after Easter for the next update. 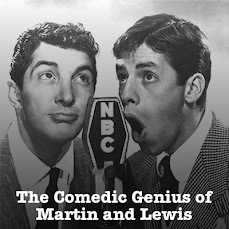 If you haven't visited my main Web Portal lately, you might not be aware of a show I've been doing since Autumn of 2007: The Comedic Genius of Martin and Lewis Podcast. Drawing from the extensive catalog of Dino and Jerry's NBC Radio appearances from 1949 to 1953, the show presents an episode each week, with some occasional commentary. For a decade in the late 1940s and early 1950s, Martin and Lewis were the most popular team in show business. These old time radio shows give us an idea of what all the fuss was about. You can listen to the shows on the Website at http://deanandjerry.noebie.com or subscribe to the program for free at the iTunes Store. Make time to laugh, won't you? Frank Sinatra, Jr. was honored last week with a star on the Palm Springs Walk Of Fame, joining his sister, Nancy, and their legendary father who were previously inducted. As we've mentioned many times on the Podcast, Frankie is a tremendous talent, a fabulous singer and a top-notch conductor, who is keeping the great tradition of Swing alive. Here's an article covering the event from the Desert Sun. According to the Sun, the placement of the star on Palm Canyon Drive was notable since it was the street the two Sinatra children used to play on when they were younger. Click here for coverage from CBS 2 KCAL in Los Angeles.